Published by Batsford (1991), this beautifully illustrated work, hailed as a major contribution to scholarship, won the coveted Sir Banister Fletcher Award as Best Book of the Year (1992). 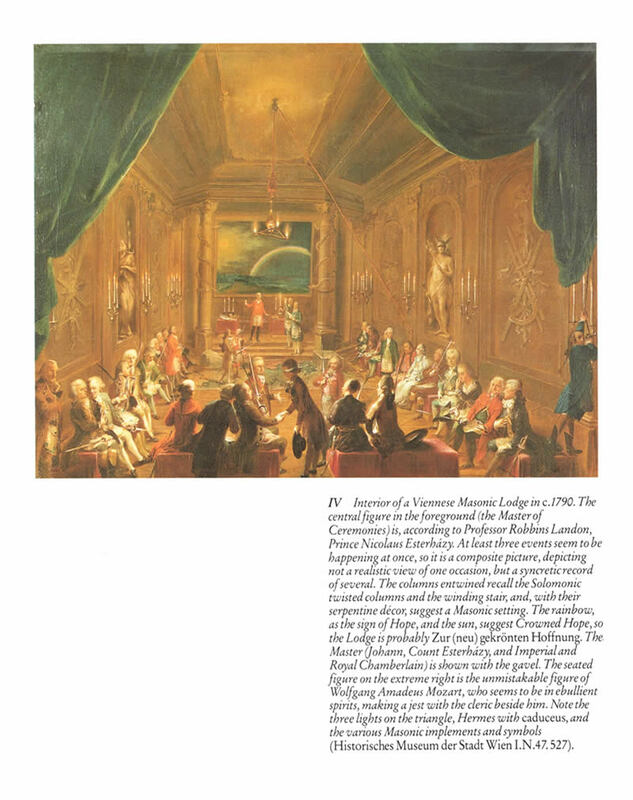 It enters territory unfamiliar to many people, yet there has been in Freemasonry much of real significance to European and American culture in visual and musical terms, and especially in architecture. 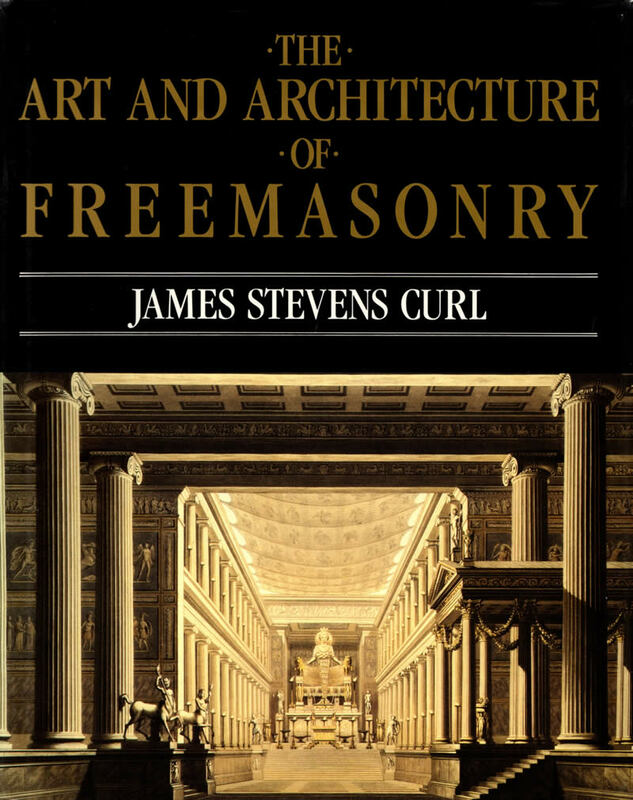 Tracing the motifs and legends from Antiquity that have influenced Freemasonry, Curl explains the significance of recurring themes, such as the lost Temple of Solomon, the role of the mediaeval Guilds, Hermeticism, and the often strange world of 18th-century Neo-Classicism. He reveals how Masonic ideas permeated the design of parks, gardens, and cemeteries, and describes the literary and architectural aspects of Masonic obsessions with Ancient Egypt. His book contains a fascinating discussion of Mozart’s Magic Flute, taking into account Masonic and other elements in the music, libretto, and stage-designs. 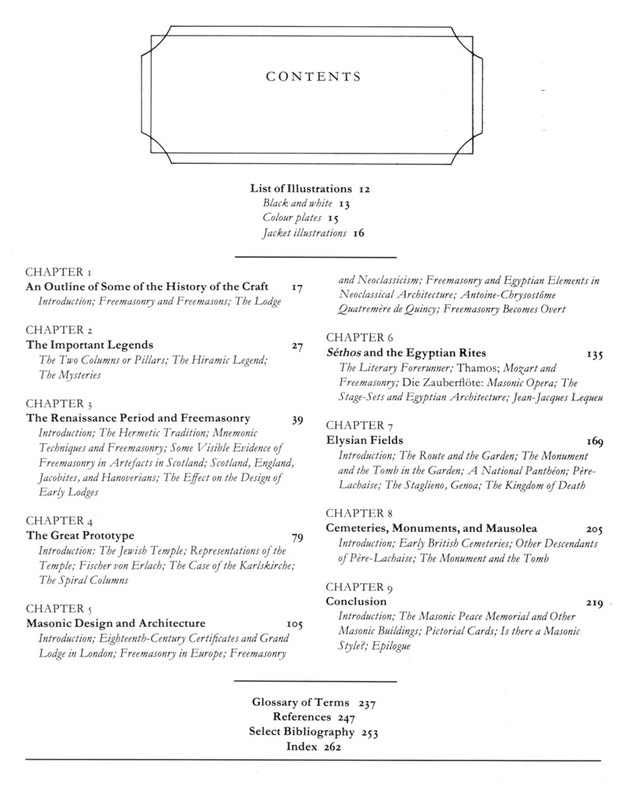 Complex ideas and iconography within Freemasonry are explained in a glossary of terms, and the close links between the Craft and architecture are outlined: in particular, the significance of the architect’s and stonemason’s instruments and tools, which in Freemasonry have important symbolic and moral connotations, is revealed. 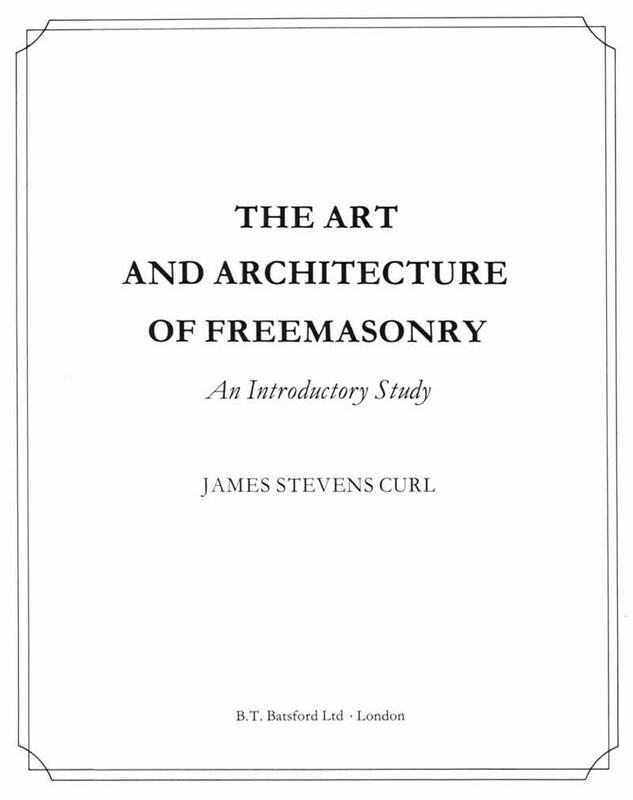 Curl’s illustrations are exceptional, and are accompanied by detailed captions, in themselves an illustrated history of elements found in Freemasonry. Based on meticulous original research, the book ranges over an enormous amount of material, and explores massive collections of literature, as is clear from the Bibliography.